In this issue: a young girl sets out on a quest to claim a mysterious heritage, a starship captain must fight for her allies in a vast alien arena, and humanity is visited by little green men with nefarious intentions. All that plus a new contest! Get Challenges of the Deeps here. In Witchy Eye, D.J. Butler’s new fantasy novel, the United States of America takes on a very different form as the setting of an epic fantasy tale. We love Butler’s unique reimagining of American history—but we also want to hear yours. Give a character from American history an epic fantasy makeover for your chance to win. Would Ben Franklin be a powerful wizard capable of calling down lightning? Would Abe Lincoln be an axe-wielding giant? And what about Betsy Ross? Give us your take in a short paragraph (100 words). Sorry, Franklin, Lincoln, and Ross are off the table. The winner will receive a signed copy of Witchy Eye. 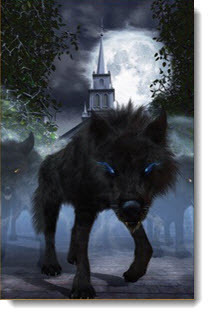 Last month we held a drawing to celebrate Wen Spencer’s latest, The Black Wolves of Boston. Congrats to Lynette DeBruin, our randomly selected winner! She’ll receive a signed copy of The Black Wolves of Boston. Coming soon to the Baen Free Radio Hour: D.J. 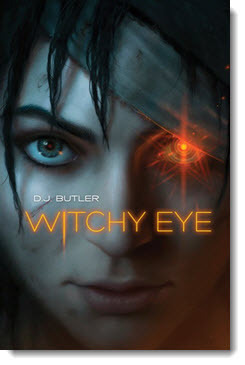 Butler discusses his debut fantasy novel Witchy Eye. Ryk E. Spoor talks about new science fiction Arenaverse novel Challenges of the Deeps, and editors and authors of new humorous anthology Little Green Men-Attack! discuss their stories and how to be funny and still create great science fiction. Missed past episodes? No problem. We’ve got every episode archived for your listening pleasure. Don't forget to check out the newest ebook releases here. Plus read “Dei Britannici,” a new short story by D.J. Butler, a prequel to his new flintlock fantasy Witchy Eye, here. And check out Ryk E. Spoor’s short story “Preparations and Alliances,” here. 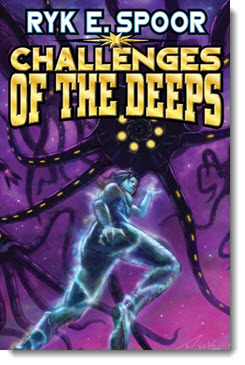 That one is set in Spoor’s Arenaverse series, with newest installment Challenges of the Deeps out now. And while you’re at it, read this month’s new nonfiction essay, “The Intergalactic Internet (and We’re Still Using Dial Up)” by space scientist Les Johnson here.